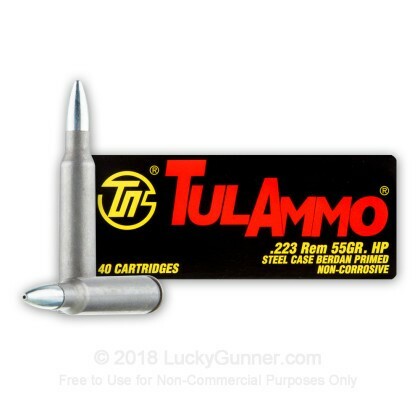 This .223 Remington ammunition from Tula delivers inexpensive target shooting or rural pest control. 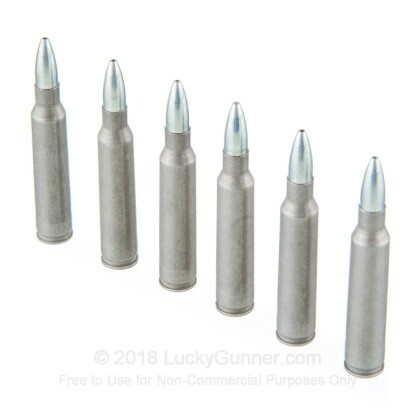 Suited for AR-15s and all other 5.56 NATO/.223 firearms, these rounds fire a 55 grain hollow point bullet at a muzzle velocity of 3,241 feet per second. 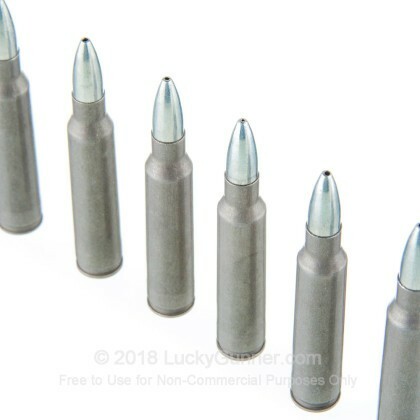 This gives them external ballistics similar to M193 mil-spec ammunition, a common standard used for this caliber. 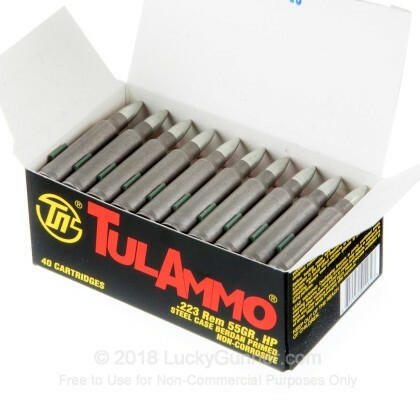 These cartridges are much less expensive than many others due to their use of steel cases. 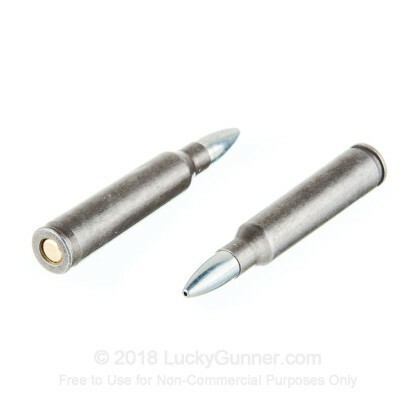 Although they are not reloadable, steel cases are much less expensive to produce than brass ones. They offer good reliability due to their polymer coatings, which reduce friction in the magazine for smoother cycling. 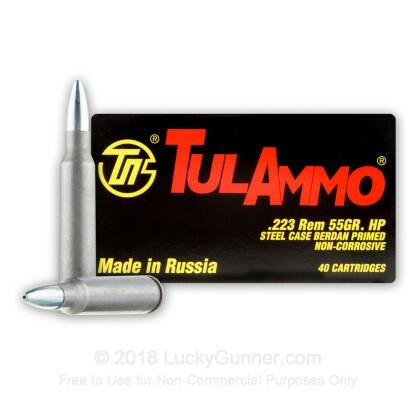 Tula ammo is loaded in Russia and uses non-corrosive Berdan primers.